Do you know how much time you are spending or wasting on queueing every day? 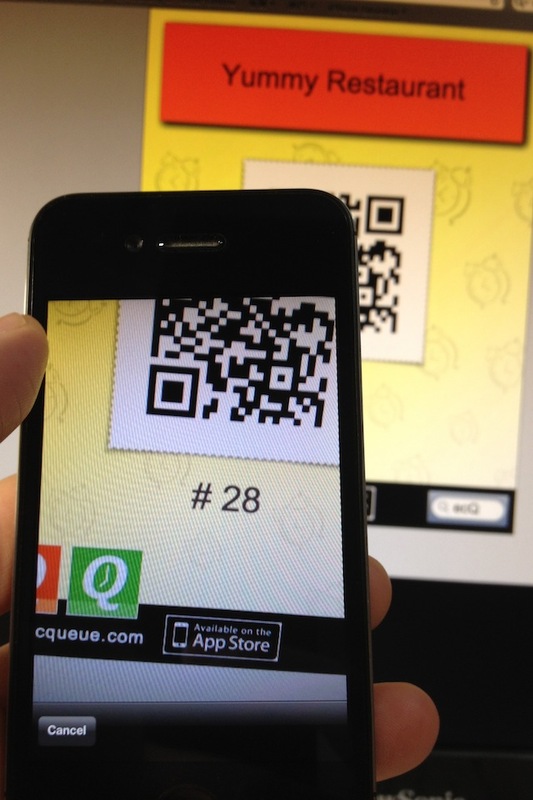 By using "ecQ", you may say goodbye to "Bored Queueing" from now on. 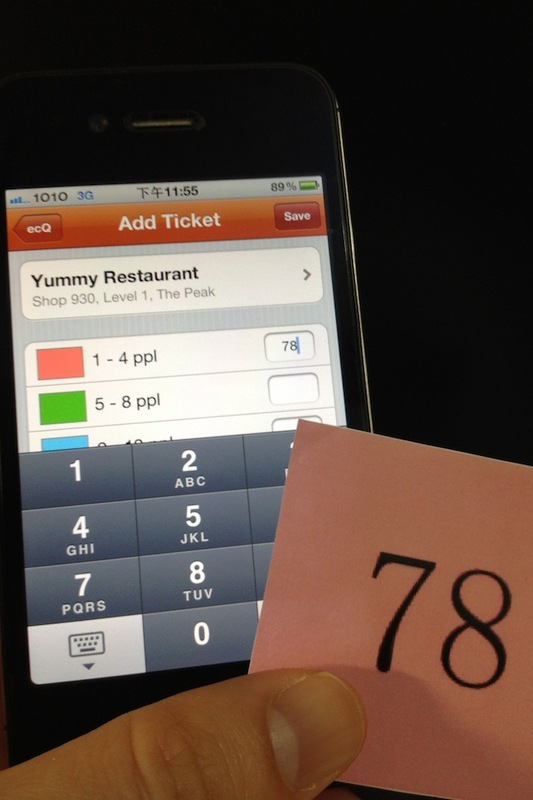 After you got the ticket from the shop, you may take a snapshot on the shop's QR Code, and then input your ticket number. That's it. You may leave the shop and walk around freely. You only need to keep track on the calling number on your iPhone and go back to the shop in time. 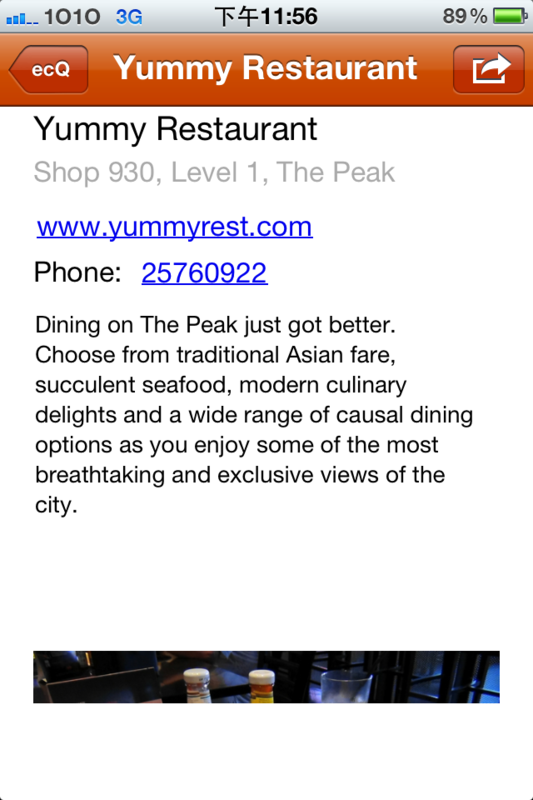 You may also get the up-to-date information as well as promotion for the shop. 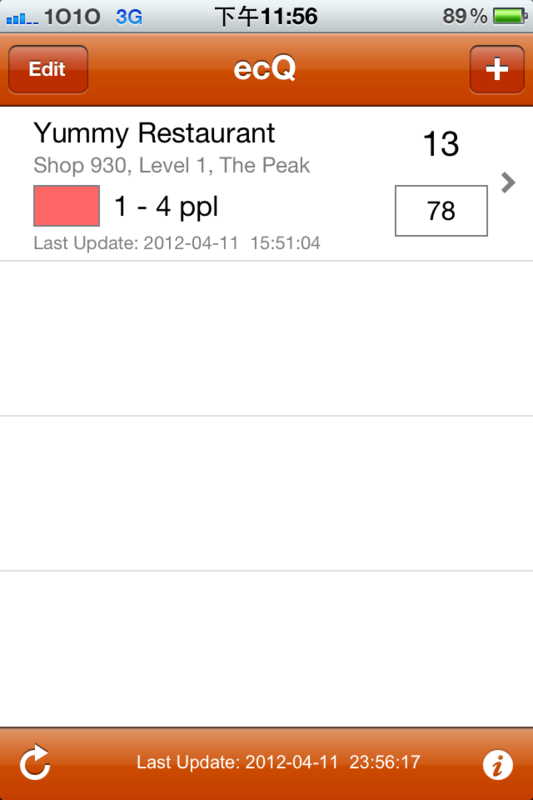 By sharing the queueing information to Facebook, your friends may gather on time. 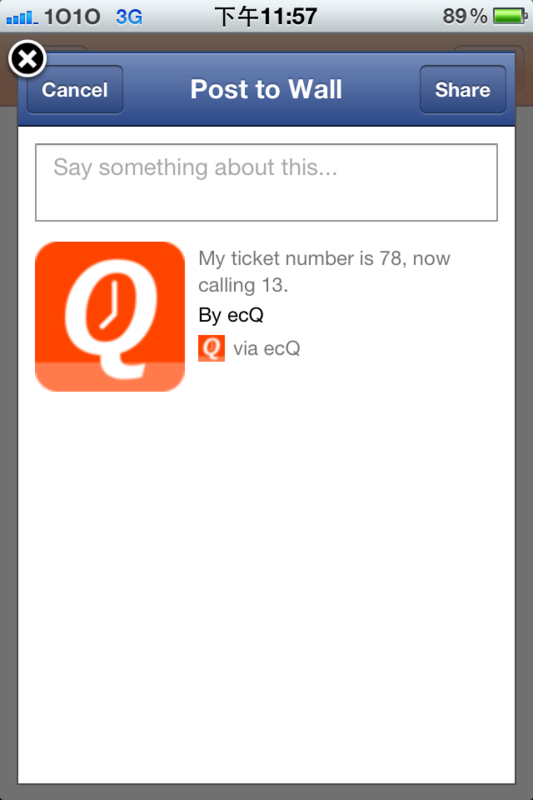 "ecQ Server" and "ecQ" is a pair of Apps that are specifically designed for solving queueing problem. Everybody/Shop/Organization may download from Apple App Store for FREE. Our target is promoting to all famous scenic spots, shops, restaurants, clinics as well as all places which are needed to queue. Our ultimate wish is: Save much "Bored Queueing" time, earn your life time back. "ecQ" is extremely simple to use. Download it NOW! Let's step into the age of "Freedom of Queueing".